Welcome to X-Ray Astronomy at Marshall Space Flight Center, Huntsville, Alabama. This page introduces the two main emphases of our work: Chandra Project Science & Research in X-Ray Astronomy. The Chandra X-Ray Observatory (CXO), depicted at left, is one of NASA's Great Observatories. 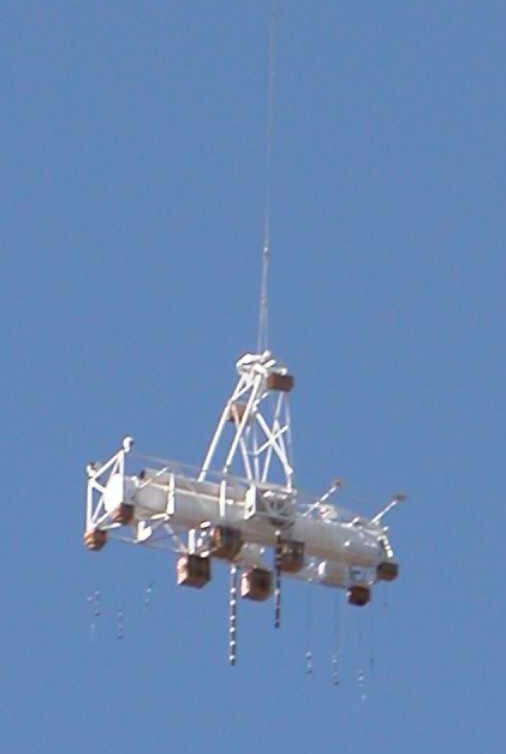 Chandra is managed by MSFC. The Harvard-Smithsonian Center for Astrophysics operates the Chandra X-Ray Center from Cambridge, MA. Chandra Project Science, led by the CXO Project Scientist, Dr. Martin Weisskopf, and his team provide scientific and technical oversight of all aspects of the CXO development , a leading scientific role in the CXO Calibration , and special studies and analyses as needed. Chandra was launched from Space Shuttle Columbia on 23 July 1999. Chandra has since returned spectacular pictures and spectra of high-energy phenomena in astronomical objects such as that from the Crab Nebula shown at right. Here is the latest Chandra News from NASA. 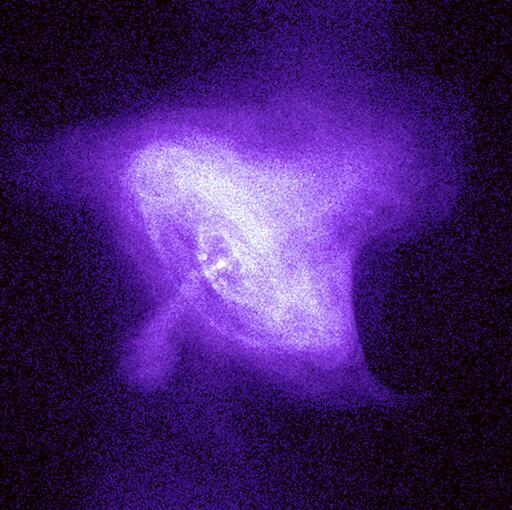 Our own investigations using Chandra data include the Crab Pulsar and Nebula, other Pulsar Wind Nebulae, planets, Ultraluminous X-ray sources, and clusters of galaxies. A major aspect of our ongoing research at MSFC is the development of x-ray optics & detectors in support of our suborbital flight program, terrestial applications, and in preparation for future space missions including, for example, the X-ray Surveyor and Wide Field X-ray Telescope concepts. We also have a proposal for a Small Explorer called the Imaging X-ray Polarimetry Explorer (IXPE) to investigate the polarization of X rays. The members of our group include civil servants in the MSFC Science Research Office Astrophysics Office, NASA Postdoctoral Program Fellows, Universities Space Research Association scientists, and University of Alabama in Huntsville students and faculty. The QDP/PLT homepage provides some documentation for this software.